Morocco's Saad-Eddine Al-Othmani. Photo credit: U.S. Department of State, Wikipedia Commons. He had five months to form a government, but he was unable to do so for two main reasons. Firstly, he wanted to keep the same coalition, with few additions from other parties and that is not possible in politics because each political situation requires a different approach and Benkirane did not show necessary leeway needed in such a situation. Secondly, the negotiating opposition was not ready to make him gifts, in the least. For them a good Benkirane is a “dead” Benkirane, politically speaking, and that is what has happened ultimately. 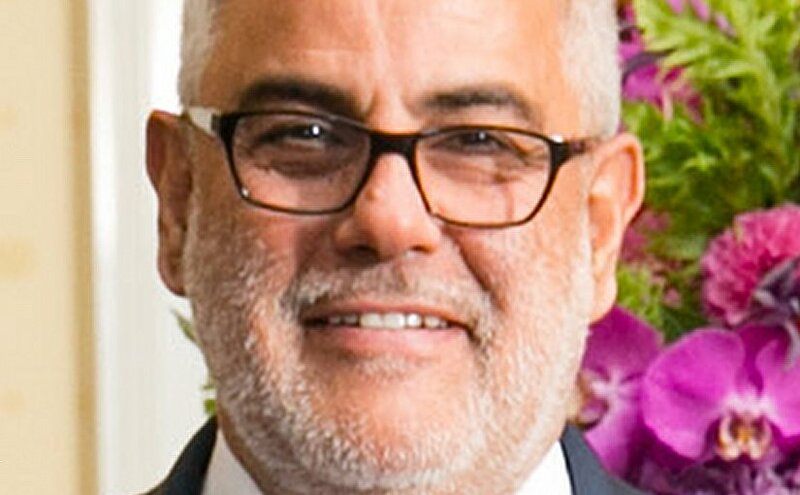 Prime Minister of Morocco Abdelilah Benkirane. Photo Credit: US White House. Benkirane acted like a neophyte in politics, his party had more seats in the parliament, this time around (125 out of 395,) but that did not give him the majority because the Moroccan electoral system was designed in such a way that no party can have a majority and the leading party, as such, is made to form a coalition government. With him gone from the Moroccan political scene, a tumultuous jester who never missed an opportunity to crack a joke or shed a tear or two and a true figure of a Greek melodrama, indeed, a new era begins for the Islamists. An era that will either make them or break them. Having dismissed Benkirane, King Mohammed VI, willing to keep the game fully democratic, called upon number 2 of the Islamist party: El Othmani to form the government. El Othmani is totally the opposite of the ebullient Benkirane; he is a quiet psychiatric doctor with an eternal smile symbolizing his overwhelming goodness and predisposition to listen and compromise. Will he be able to nurse the ailing government to good health from its post-natal crisis? After five months of stalled negotiations between the PJD and opposition parties headed by the RNI (Rassemblement National des Indépendants,) the monarch, on return home from a long journey in Africa terminated Benkirane’s designation by making use of Article 47 and Article 42 of the 2011 constitution, but, nevertheless, gave the PJD another chance. Needless to say that the Islamist party is, currently, faced with difficult choices, a catch-22 situation, indeed. Party members have accepted the new reality imposed on them and have, ultimately, disassociated themselves from their secretary general, but this might, in the long term, create havoc within the ranks of their political organization. Besides, their religious think tank and policy-making organization behind the scenes; MUR (Mouvement Unicité et Réforme) might consider the move of the establishment as a diktat to weaken the resolve of this political entity, which thinks of itself as the true and legitimate representative of the masses. PJD party cadres and members could give El Othmani a free hand in forming the government, but, then, reject the outcome to put the establishment in a difficult position and, thus, force its hand to appoint a technocratic government, a solution which will be badly perceived internationally, or, last but not least, call for new general elections. The PJD will hope that such new general elections will bring them more seats and, consequently, put them in a more comfortable position bearing in mind, however, that a contrary scenario could occur. A possibility that, in the end, will make all choices hard, if not difficult to stomach. The choice of El Othmani, a physician who is a respected psychiatrist is probably not fortuitous; he might just be the right person to nurse back to health the ailing unborn government. He will be receiving first Akhnnouch, the head of RNI, and other party bosses on his psychoanalyst couch to try to find a compromise, and a compromise he will find, for sure, because none wants to fail this time round. The political opponents of the Islamists insist on including the socialist minority party USFP (Union Socialiste des Forces Populaires) and this was the stumbling block of the last round of negotiations and the chances are that El Othmani will accept them in because he is a practical person and does not want to lose everything for one or two government positions offered to this declining and outdated party, anyway. El Othmani, is a magician with a legendary smile and a big heart and with his wand he will, undoubtedly, come up with a magical solution that will make everyone happy and make him the hero of the day. But a compromise solution is not only on the shoulders of the PJD, it is, also, on the shoulders of the opposition because for sure they would not want to go back to square one and disappoint their membership and especially the establishment, this time round, bearing in mind that the general public is made to believe that it is the pig-headedness of the opposition that led to the present political dead-end. Chances are that a coalition government will see light soon and the difficult birth travail will be eased out by the excellent physician El Othmani, who does not want to have in his hands a still born baby but a newborn infant screaming with life at the top of his/her lungs. His opponents, on the other end, cannot afford either a failure for fear to be accused by the rank and file of being the consistent stumbling block for a democratic solution. All in all, it must be made clear that the democratic political contest has put the PJD on the top of the list of political parties, so this popular choice has to be, totally, respected by the political opponents otherwise all the parties have to go back before the electors in a new general election, as is the case in any sane democratic environment. Since 2011, Morocco has a new constitution that has opened the door on what might be called “incremental democracy” and the spirit of this political transition has to be respected fully by all political players, otherwise democracy-hungry masses will be infuriated and that might lead to uncontrollable and dire consequences. If Morocco was and is an exception in the MENA region, this is due mainly to the fact that democracy is nurtured by the monarchy and political players alike. It might take time to achieve and that is something that everyone accepts, but nothing must stall its progress ever, for fear to unleash popular discontent. For these reasons and more, El Othmani must succeed in his political mission sooner than soon and everyone concerned has to help him out at once.